The Gold Coast's Biggest'n'Best New Year's Eve Celebration is Fun for the Whole Family! Wet'n'Wild Water World will host the Gold Coast's Biggest'n'Best family New Year's Eve celebration at their annual Kids' New Year's Eve event. The celebration will include face painting, fun activities, entertainment, pony rides and games, all FREE for children 13 years and under. And as the sun goes down guests will be treated to a very special preview screening of the Walt Disney Pictures' animated escapade "Tangled" (rated PG), the most hilarious hair-raising tale ever told, before its public release in cinemas everywhere on 6 January 2011. Kids' New Year's Eve festivities are included in general admission to the park making it great value family fun. Gates open at 10am with water slides and attractions operating until 8.30pm. The FREE Kids' New Year's Eve activities will run from 2pm to 7pm, with the Dive'n'Movie screening at sun set. The evening will conclude at the family friendly time of 9pm. The Langham, Melbourne is proving the city is a glorious place to be in summer, with enchanting accommodation options, an energising seasonal spa package and fresh summer dining from Melba restaurant's new 'Seafood Altar'. With its prime Southbank position, The Langham, Melbourne is an opportune and stylish starting point for a truly amazing summer experience. Melbourne's international sporting events, Moonlight Cinema in the Royal Botanic Gardens, hot summer fashions and free events ensure there is much to do and see in the city; while guests seeking a more subdued summer break can escape to the holiday haven of Langham for seafood banquets, summer cocktails and refreshing spa treatments. The Enchanted Summer Haven package offers blissful two or three night experiences. The skilled therapists at The Langham's Chuan Spa have created a restorative summer treatment package - Energizing Essentials, specifically designed to rejuvenate and refresh the mind and body after a hectic festive season. In line with Melba restaurants bountiful culinary offerings of varying cuisines and fresh seasonal produce, a new interactive station, the Seafood Altar has been introduced in time for summer. An abundant selection of seafood is available for relaxed summer grazing, offering everything from prawns, Moreton Bay bugs, oysters, scallops, crab and mussels to eel, trout, yabbies and ceviche. All this in addition to the restaurant's famous global cuisine, delicious dessert station, superb value and spectacular views makes Melba an ideal dining destination on a balmy evening or lazy summer's afternoon. With five-star service, an exceptional address, the luxurious Chuan Spa, and sensational seafood, an Enchanted Summer Haven awaits at The Langham, Melbourne. Hong Kong - From January to March 2011, Plateau Residential Spa is introducing a luxurious spa holiday for a pleasant stay and spa relaxation. Plateau Massage - using a combination of Shiatsu, Thai and Swedish massage techniques and essential oils, this massage will relieve tired muscles and soothe the mind. Plateau Residential Spa is located on the 11th floor at Grand Hyatt Hong Kong. Australian couples who are engaged to be married (or are planning to 'put a ring on it') are invited to share stories of how they met their partners as part of the Las Vegas Convention and Visitors Authority's "How I Met My Partner" competition. It could have happened while climbing a volcano on an overseas holiday, during a mishap in the car park of a shopping centre, or a disaster that required the rescue of a mobile phone after it was dropped down a storm water drain... Everyone has a unique story about how they met their partner and the Las Vegas Convention and Visitors Authority want to know yours! Launched in December "How I Met My Partner" gives couples planning to marry the opportunity to win a six-night Las Vegas honeymoon. There is a small catch however; the betrothed couple must be prepared to marry in Sydney on February 14 2011 and then depart for Las Vegas the following day. More than 100,000 wedding licenses are issued every year in Las Vegas, making it the official wedding capital of the world. The two most popular wedding days in Las Vegas are New Year's Eve and Valentine's Day, which are also two of the world's most popular days for marriage proposals. With Sydney's population of engaged couples set to explode after New Year's Eve, the Las Vegas Convention and Visitors Authority thought it was the perfect time to showcase Las Vegas as the ultimate wedding and honeymoon destination, while inspiring Sydney singles in their search to find love at the same time. The couple with the best story will be chosen to say 'I Do' in Sydney on February 14. 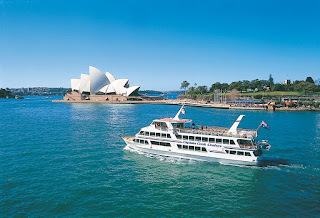 Depart Sydney on February 15 2011 and spend six nights honeymooning in Las Vegas. The winning couple will fly return from Sydney to Las Vegas staying for six nights and checking out the very best that Las Vegas has to offer. From the shores of Waikiki in the 1950's to the NSW South Coast of today comes one of the world's fastest growing board sports - Stand Up Paddle. An exciting low impact water sport that allows you to learn new skills whilst experiencing the outdoors, Stand Up Paddle is a graceful and fun activity that promotes fitness, stamina, strength and balance for participants of any age or fitness level. Total Eco Adventures at Broulee provides Stand Up Paddle tours, expert tuition and top quality equipment. Set amongst the beautiful beaches and waterways of the NSW South Coast, choose a from leisurely Eco cruise, flatwater lessons or a dynamic fitness work-out; ideal for family fun, group outings or corporate events and team building exercises. Totel Eco Adventures founder, Dr David Baine, says "I have found that engaging people in exciting outdoor activities in beautiful natural areas is a great way to promote environmental education and awareness. The amazing coastal environments of the Eurobodalla, particularly in the Broulee area, allow us to attract and inspire people to come on our unique Stand Up Paddle experiences and other activities on offer." Private Stand Up Paddle Surfing lessons for beginners to intermediate surfers are also available for 1-2 people, as well as cross training advice and personal fitness assessments by qualified yoga teachers and Stand Up Paddle instructors. 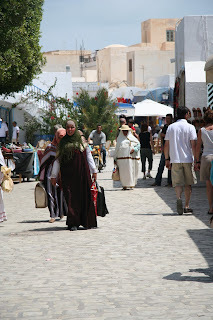 ANCIENT royal palaces and underground villas built by wealthy Romans, great mosques and a cliff village whose "streets" are simply ledges too narrow for two people to pass, desert oases and a 30,000-seat "colosseum" rivalling that of Rome… these and much more are highlights of a surprise-filled 18-night tour of Tunisia that will appeal to archaeology and history buffs in April 2011. The fully-escorted tour with International Destinations departs on April 10 2011 and will be led by Australian expert on the region, Joanna Quinn. It's priced from $6550pp including return air and taxes from Sydney, 18-nights twin-share in first class and deluxe accommodations, breakfasts and dinners daily, and English-speaking local guides throughout. OTHER HIGHLIGHTS include Haidra that's one of the oldest Roman cities in North Africa, 4th century Dougga that's also known as "The City of Temples," a man-made artificial desert oasis, and a 4WD to a salt lake whose parched surface was planted with palm trees to guide ancient trading caravans. There's also a visit to rare Troglodyte houses carved into sandstone cliffs and including one in which some scenes from a "Star Wars" movie were filmed, the island of Djerba believed to be part of Ulysses' "lotus drinkers land," and a port once used as a base by Hannibal. If you want to channel your inner adventurer over the long summer holidays, NSW's Sapphire Coast is the place to be. The region on the far south coast of NSW, between Bermagui and the Victorian border, will be a hive of activity over the Christmas break with lots more on offer than the usual beachside activities. For those who like to go in search of where the wild things are, the Marine Discovery Centre at Eden is offering a tailored-to-you program of workshops themed 'soft and squishy', aimed at de-mystifying some of our common underwater creatures. If you have a family or group of four or more, the Marine Discovery Centre team will fit in with your holiday timetable - as well as tides and weather - and schedule a discovery programme to suit. There are sessions geared to children and families as well as some advanced activities for adults who would like to know more (for example, there's more to a squid than slice, dice and toss in salt and pepper!). Just contact the Centre to book a time (www.sapphirecoastdiscovery.com.au or phone  6496 1699). It's action a-plenty with the National Parks and Wildlife Service's Discovery walks, talks and tours programme, which is being run at different park areas along the coast, as well as some inland sites. Snakes and snorkels, platypus and planets and koalas and canoes are all part of a varied timetable designed to highlight some of the stunning beaches, camping areas and lagoons that stud the area. There's also a 4WD Tag-Along Tour of the South East Forest National Park for those who like to get off the beaten track, but with some expert advice on hand. Check the timetable on the Sapphire Coast website (details below) and book your adventure by calling 1300 361 606. And if your tribe needs some serious activity to get their attention - and the prospect of some great prizes - then sign on to compete in the 10th annual Tathra Wharf to Waves weekend, January 15 to 16. There is a series of 600m age-based ocean swims and the 1200m 'Splash for Cash' open race, all starting from the Tathra Wharf and finishing on the beach in front of the Tathra Surf Club. There's a race for every age group and ability, and you'll feel good knowing you are raising funds for the local life saving club, preschool and rural fire service. But if you're more of a runner than a swimmer, you can still be a part of the action by competing in the 2km fun run along the beach, or for those who favour two wheels rather than two legs, there's the scenic 30km Bridge To Bridge mountain bike race from Bega to Tathra. Check out the website for all the details (www.tathrawharf2waves.com). You can find details on accommodation as well as information on these and other activities by visiting www.sapphirecoast.com.au or calling toll-free on 1800 150 457. Captain Cook Cruises - the Best on New Year's Eve!!! Celebrate New Years Eve in the midst of all Sydney Harbour's festivities and fireworks on one of Captain Cook Cruises New Years Eve cruises. Offering a range of cruises across its fleet, there is a cruise to suit everyone. If you'd like to be on one of the select number of vessels in the Harbour Lights Parade and cruise inside the fireworks exclusion zone then the Show Deck on the prestigious Sydney 2000 or the John Cadman III or Captain Cook III Seafood Buffet cruises is where you need to be this New Years Eve. The prestigious Sydney 2000 Show Deck is perfect for groups of friends or family. Guests will enjoy a delicious 4 course meal, an open bar of premium still and sparkling wines, beers and spirits and a live band to dance the night away to, all aboard Sydney's most prestigious cruise ship. The Sydney 2000 departs No.6 Jetty Circular Quay on Friday 31 December 2010 at 8.00pm with boarding from 7.30pm and disembarks at 12.45am. The Show Deck package is priced at only $649 per person. On the John Cadman III and Captain Cook III guests will enjoy a scrumptious deluxe seafood buffet, an open bar of still and sparkling wine, local and imported beers and soft drinks, a glass of Moet & Chandon at midnight and be entertained by a DJ all night long. The John Cadman III and Captain Cook III New Year's Eve cruises depart at 7.30pm from No.2 King St Wharf Darling Harbour and return at 12.45am. Prices are $550 per person. For all the fun of the fireworks, a Matilda Rocket Fireworks cruise where you can bring your own drinks and picnic is the place to be! The Matilda Rocket Fireworks cruise departs from No.2 King Street Wharf Darling Harbour at 8.00pm and returns at 12.30am on Friday 31 December 2010 and is priced at $350 per person. The Cruise Passenger Readers' Choice Awards were held at a stylish function in the Observatory Hotel, close to Sydney's home of cruising, Sydney Harbour, on Monday evening, December 6, 2010. Guests awaited with anticipation the announcement of the coveted Best Luxury Cruise Line and Best Luxury Cruise Ship awards, which were given to Silversea and Silver Shadow. Sally Macmillan, editor of Cruise Passenger magazine, said, "Our readers love that Silversea's guests revel in the sophisticated 1930s ambiance on board the Art Deco- designed ships. These ships truly make you take a step back to old-fashioned glamour and enjoy the romance of travel while on board." The winner, Silversea, will showcase another of its luxurious cruise ships on March 1, when Silver Spirit will cruise into Sydney on her maiden voyage. There was much applause when Sydney was announced as the best cruise port.
" 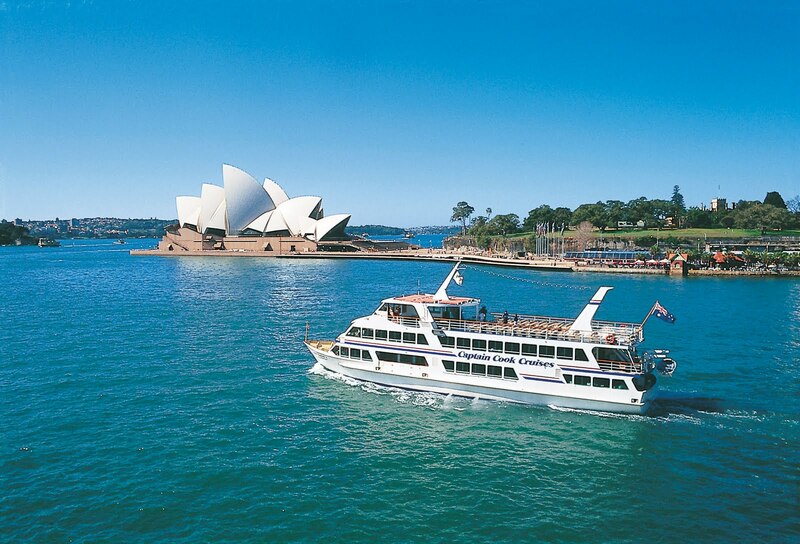 Sydney has broken all records with 154 cruise-ship visits this 2010/2011 season, a 30 per cent increase on last year. It's no wonder readers have voted Sydney their favourite port," Sally Macmillan said. "It's wonderful for the New South Wales economy as close to $200 million will be spent by cruisers and crew during these visits." A Sydney highlight for 2011 will be the arrival of the new Queen Elizabeth and sister ship Queen Mary 2, who will rendezvous on Sydney Harbour on February 22. The winner of the premium cruise line category, Princess Cruises, has launched the season with its two Australia-based ships, Dawn Princess and Sun Princess. The Overseas Passenger Terminal will mark its 50thanniversary this year on December 23, half a century after the first P&O Cruises vessel docked in 1960. Cruise Passenger readers also voted Alaska as the best cruise region and Qantas as their favourite airline. Cruise Passenger magazine is Australasia's Number One cruise publication for lovers of big ship voyages, intimate small ship river cruises and everything in between. Featuring a round-up of the latest news from the cruise world, new cruise liners to hit the industry, popular cruise ports and land-based tour options, plus features on family cruising and expedition cruising, Cruise Passenger is jam-packed with all the latest information from the ever-expanding cruise sector. Melbourne's Langham hotel will once again host the acclaimed Melbourne Food and Wine Festival Masterclass when it returns to the city in March 2011. Food enthusiasts, in particular lovers of macarons, are invited to indulge in the enticing flavours of Japanese pastry chef and i ♥ macarons author, Hisako Ogita. Each weekday from 1st - 14th March 2011 the hotel's ARIA Bar & Lounge will host Langham ♥ Macarons - a morning tea by Hisako Ogita. Hisako will make special appearances at ARIA on 11th and 14th March, between 10.30-11.00am. Undeniably a new dessert trend in 2010, the cult of the macaron has recently grown to cup cake proportions around the globe. With increasingly creative flavours available and long queues outside popular patisseries not an uncommon sight, Langham ♥ Macarons is set to be one of the 2011 Festival's stand out events. The morning tea events will see an assortment of macarons on offer, each flavour inspired by Hasiko's Japanese heritage. Hisako has also created a signature 'Pink Ginger' Langham macaron especially for the event which will be served alongside the hotel's signature Tiffin High Tea. The Langham is the perfect place to stay during the 2011 Melbourne Food and Wine Festival, with hundreds of festival events in close proximity to the luxury hotel. When Monday to Friday from 1st-14th March, 10.30am to 4.30pm. Hisako will make special appearances at ARIA on 11th and 14th March, between 10.30-11.00am. Situated in the exclusive riverside Southbank precinct and offering stunning views of the Melbourne city skyline, the Yarra River and Federation Square, The Langham, Melbourne offers a luxurious and timeless inner-city experience. The 25-floor hotel is a member of the prestigious Leading Hotels of the World and has 387 luxuriously appointed rooms including 45 executive club rooms and 11 suites, attended to by the hotel's signature Service Stylists, who are there to fulfill guests' every need. The hotel's indulgent suites also offer the services of personal butlers, famed for their legendary 'service with poise' and enchanting hospitality. The Langham, Melbourne was voted the top hotel in Melbourne in the region of Australia, New Zealand and the South Pacific in Travel & Leisure USA World's 500 Best Hotels List 2010, named the top city hotel in Australia, New Zealand and the South Pacific in the Travel + Leisure USA World's Best 2009, is included on the Condé Nast Traveler US 2008 and Conde Nast Traveller UK 2008 Gold Lists as one of the World's Best Hotels, is named in the top three hotels on mainland Australia on the Condé Nast Traveler US Gold List for 2009, and is placed amongst the Top 20 Hotels in the Oceania region in the Condé Nast Traveler US Readers Choice Awards 2010. The hotel's chic Aria Bar & Lounge and interactive Melba restaurant offer guests exciting and sophisticated dining options, including a buffet with live cooking stations, and elegant and indulgent Afternoon Tea. Extensive conference and meeting facilities are offered by the hotel and the five-star property is home to the highly acclaimed, luxury Chuan Spa. A member of the Leading Spas of the World, Chuan Spa offers treatments founded on Traditional Chinese Medicine and adjoins the sun terrace, pool and hotel's Health Club. Hyatt Regency Perth celebrates the festive season with all the trimmings synonymous with a truly elegant five star experience. The hotels large atrium style lobby provides a warm Christmas atmosphere from the moment you enter the hotel; towering Christmas tree's sparkle around the Conservatory lounge and elaborate stars dangle from the sky-high ceiling. For Christmas celebrations or to welcome in 2011 - Hyatt Regency Perth provides a cheerful party atmosphere with live entertainment and fresh local food delights! Indulge in a buffet of delicacies from the hotel's Gold Plate award winning Cafe restaurant. Available for lunch and dinner from 29 November to 24 December, mouth watering items on the menu include a seafood selection of oysters, Mandurah Blue Manna crabs and local mussels. Guests can also choose from slow roasted turkey with honey walnut and apricot bread stuffing, ham carved off the bone and a delicious selection of traditional Christmas desserts from the patisserie. Spoil yourself with a day of fine food, wine and entertainment in Hyatt Regency Perth's Grand Ballroom. With a seafood buffet on offer, live entertainment and a special visit from Santa to deliver gifts for the children, the day is relaxed and cheerful. Alternatively you can enjoy lunch in Cafe restaurant which turns on all of the traditional Christmas charms and invites you to enjoy the interactive cooking stations for lunch or dinner. Welcome in 2011 with a night of great food and entertainment at Hyatt Regency Perth's Cafe restaurant and Conservatory lounge! Enjoy five interactive cooking stations and a generous beverage package including free flowing sparkling wine. Live entertainment will continue the celebrations into the early hours. For reservations and ticket information please call Hyatt Regency Perth on 08 9225 1234. WOW Travel, Kiwi Collection's digital travel and lifestyle magazine, has launched its December issue. This month, their esteemed editorial team of wanderers answers the question "What are you doing New Year's Eve?" while uncovering a wonderful way to get lost in Medina, and the best hotel bar in Europe. Readers get a close-up look at Jamie Oliver's Big Night Out, and a crash course in some of the best festive wines for the holiday season. Things also get sweet, with a guide to L.A. hotels, and a tour of the Jade Mountain Chocolate Festival. Then, WOW bares its teeth, with a story written by the world's finest wildlife photographer, Heinrich van den Berg. Each magazine department (Wining & Dining, Art & Style, Spa & Sport, Industry Insight, and Destinations) will explore the world of travel through a particular lens. WOW Likes highlights gifts for the man or woman with everything, including Trump Tea, Cashmere T-shirts, and the Molokini clear canoe. Golf addicts can play as many rounds as they can handle at Hyatt Regency Coolum this summer, with a sensational short-break package offering unlimited play at the resort's acclaimed PGA championship course. From January 4 to 31, 2011, Hyatt Regency Coolum will offer pairs and couples a special rate of $170* per person twin share including a night's accommodation, continental breakfast, unlimited golf, golf carts and a free weekday golf clinic. The package is perfect for anyone looking to hone their skills over the summer holidays and makes the most of Australia's best-rated resort golf course. As the home of the Australian PGA Championship, the par 72 course at Hyatt Regency Coolum offers 6137m of challenging fairways set between Mount Coolum and the white sandy shores of Queensland's Sunshine Coast. Created by renowned course designer Robert Trent Jones Jr, it was rejuvenated last year to include six brand new holes as part of a reconfigured front nine. The course is supported by Australia's leading golf education centre, offering under-cover tuition and the very latest technology in biomechanic analysis to help refine swing and technique. Its team of PGA professionals conduct group clinics covering everything from putting to psychology. For full details and bookings contact Hyatt Regency Coolum on 07 5446 1234. *Subject to availability, conditions apply. Free golf clinics run Monday to Friday only. Unlimited golf green fees can be used on any day whilst staying on the resort, subject to availability. Tee times should be booked early to avoid disappointment. A continental migration will occur once again this December with Australians and Europeans flocking across the oceans to see their friends and family and Malaysia, smack bang in the middle, is the perfect place to stop along the way. With over 25,000 seats a week direct to Kuala Lumpur (KL) on Malaysia Airlines, Air Asia X, Emirates, Malaysia really is an unsung hero when it comes to stopover experiences. Above all else, Kuala Lumpur is a great value destination. This year, Malaysia was listed as one of the best value destinations in the world by Lonely Planet and in 2009 Malaysia ranked as the 4th most price competitive country in the world according to the World Economic Forum's Travel and Tourism Competitive Index. Without breaking the bank, stay in luxurious accommodation (Kuala Lumpur has plenty), shop and spa to your heart's content, gorge yourself on delicious Malaysian cuisine and discover the sites of the city. Even the transport from the airport is deluxe, convenient and unbelievably well-priced. For around $12.00 you can take the 28 minute non-stop ride to KL's Sentral Station on the KLIA Ekspres, Malaysia's clean and efficient high speed train. For some extra indulgence try the KLIA Ekspres VIP service and take a limousine from Sentral Station to your accommodation for only $45.00 extra. Indulging is easy to do in Kuala Lumpur with an ever-increasing inventory of luxurious hotels. From established five star properties like the Ritz Carlton and Shangri-La to new boutique developments like Hotel Maya, Piccolo Hotel or the recently refurbished Carcosa Seri Negara with all its 'old school' colonial charm. If you can draw yourself away from your plush hotel, there are plenty of things to make the stopover unforgettable. Get a bird's eye view of the city from the Petronas Twin Towers, take a walk around the beautiful Lake Gardens, visit Buddhist temples in China Town, spend a morning at the famous Batu Caves or wander around the bustling markets and streets of China Town, Malay Kampung Baru and Little India. Along the way, it is irresistible to spend some time taking part in Malaysian's favourite pastimes; shopping and eating. Heading out for a Gucci, Armani, Jimmy Choo, Zara or Top Shop fix is a must. Mix in a couple of great meals sampling Malaysia's multi cultural cuisine including Malaysian hawker food, Chinese dumplings and Indian curries and then refresh before your onward journey with some divine spa treatments. CHAT Tours who have been specialising in holidays for Australians to Greece, Egypt and Turkey for more than thirty years, say 2011 will offer some of the best value-ever to these destinations because of the strength of our dollar, increasingly competitive price-driven airfares, and with its own strong buying power and reductions in Chat Tours' own pricing – prices next year that will in most cases be below those of 2010. A just-released 52-page brochure of Chat Tours' offerings in 2011 is a veritable handbook of how best to enjoy a value holiday in these regions, with detailed Athens stopovers and Greece hotel and apartment stays, coach tours through Greece, Greek Island cruises and island-hopping passes, and Aegean and Adriatic cruises that include such combinations such as the Greek Islands and Turkey. There's also the option to choose yacht-style cruises, Turkey coach and cruise tours, Gallipoli mini- and longer-stay tours, and tours of Egypt and Israel including cruising the Nile, all backed by Chat Tours' individualised services, unmatched experience and local knowledge. CHAT Tours background information: Chat Tours' parent company Hermes en Grece was established in Athens 85 years ago and Chat Tours has had offices in Australia for past 31 years, making it Australia's leader in holidays to "its corner" of the Mediterranean. Chat Tours has its own fleet of luxury coaches for Greece touring and its sister company, the Amalia group operates a chain of superior hotels in major tourist centres. Move over Tiger Woods and Greg Norman - the world's next golfing super-star might be discovered on Hamilton Island this summer. As part of the island's popular Summer Festival, the new Hamilton Island Golf Club will stage half-day family golf clinics so parents and children can refine their golfing techniques. "The family that plays together, stays together," jokes Hamilton Island Golf Club's resident golf professional Cherie Alison (nee Byrnes). "It doesn't matter whether you are beginner or polished amateur, we'll cover the technique basics providing skills to improve both long and short games as well as going over golfing etiquette and rules." Golf clubs will be provided for those who don't have them. Cost is $45 per child and $55 per adult and includes boat transfers, tuition and refreshments. Other features during Hamilton Island's Summer Festival include an array of free and paid activities for children of all ages. Families with teenagers will love the fish feeding tours, quad bikes, and jet-ski tours as well as more than 60 tours and activities on offer every day. Those with younger children will delight in free face painting, dance and music classes, cookie decorating, beach sports and magic shows. Even pint-size, adrenalin-junkies can test their mettle on the new kid's quad bike circuit, with miniature quad bikes on a flat safe track providing the littlies with a grown-up thrill. Summer Festival coincides with the Australian school holidays and starts in mid-December and finishes in mid-January. Hamilton Island CEO Glenn Bourke said the Festival is all about offering families some top value entertainment options during their annual holiday. "Christmas and New Year is always a special time on Hamilton Island. The atmosphere is lovely as our small community is dedicated to making the festive time memorable to all of our guests," said Mr Bourke. Christmas celebrations include Carols by Candlelight held beneath the starry Whitsunday skies and a myriad of Christmas lunch and dinner options ranging from festive buffets through to traditional three course feasts. Santa makes a special appearance resort-side courtesy of the Hamilton Island Fire Brigade, whilst his reindeer graze nightly at a secret location near Reef View Hotel. Full details and booking forms for all festive functions can be found at www.hamiltonisland.com.au/summer-festival. New Year's Eve, the island will go into party mode - with a street party featuring top Sydney band Martini Club and a midnight fireworks display over the harbour. The action culminates with Wildcard Saturday and Showdown Sunday – the biggest one-day prize in Rodeo – and carries on into the evening with the GMC Rangeland Derby followed by the Evening Show, a spectacle of music, dancing and singing that climaxes with the explosive, award-winning ‘TransAlta Lights Up the Night’ fireworks finale. The Calgary Stampede defines Calgary as a city. The Park may be the heart of the Stampede but the spirit is everywhere. Tap your feet to the live country music and indulge in the free pancake breakfasts. Insider’s Tip: Allow yourself a minimum of two days to get the most out of the Stampede. If you’re planning to see both the Rodeo and the Chuckwagon Races & Evening Show, experience one event per day. This will give you the chance to explore other areas of the Stampede too. The Calgary Stampede runs from 8 – 17 July 2011. Welcome in the New Year with a beautiful stay and play offer within the luxurious surrounds of Park Hyatt Melbourne. An intimate table for two or a gathering of friends; begin your evening with a sumptuous dinner in radii restaurant. Savour canapés and sparkling wine upon arrival, followed by a gastronomic seven-course degustation menu with hand selected premium wines to match. Enjoy decadent desserts and welcome in the New Year with music and dancing in the exclusive Park Lounge while watching the fireworks over the city skyline. The panoramic views to the city and bay from the 19th floor are simply amazing from this location. Retire after a memorable evening of festivities and return to your beautifully appointed room to continue the night in style. Melbourne's biggest hotel rooms will ensure you wake up refreshed after a blissful night's sleep cocooned in one of our sumptuous King beds. Indulge and be pampered in the ultimate hotel luxury experience. All inclusive New Year's Eve Packages from $950* for two guests, including valet parking. For reservations call 13 1234 or email pacific.reservations@hyatt.com. Please quote ME005. Park Hyatt Melbourne, where luxury is personal. Park Hyatt hotels are intimate luxury hotels designed to cater to the discriminating individual seeking discreet, contemporary luxury. Currently boasting 22 properties in the world's most exciting cities, with an additional ten under development, the Park Hyatt portfolio promises incomparable design and architecture, beautifully appointed guest rooms and suites, refined amenities and facilities and award winning restaurants. It's easy to develop a crush on the picturesque surrounds of the Adelaide Hills wine region and this summer Grand Mercure Mount Lofty House is inviting you to 'discover your crush' at the annual 'Crush - Adelaide Hills Food & Wine Festival'. The Hills will come alive on 30 January when 60 wineries join together to celebrate the best of the region, with each offering a variety of food and wine experiences and music to accompany - from acoustic and jazz to funk and soul. But if you can't get to the Hills for 'Crush', boutique accommodation venue Grand Mercure Mount Lofty House is offering a package that allows you to get in before the crush, available throughout January and including accommodation and breakfast for two plus a bottle of Adelaide Hills wine from the celebrated Lobethal Road vineyard, from just $189 per room per night (subject to availability). Discover the region at your leisure with a visit to Hahndorf Hill Winery for a ChocoVino Experience and sample the world's most luxurious chocolate matched with fine wines or enjoy a taste of Tuscany on the Chain of Ponds Winery's famous vineyard balcony, returning to the tranquil elegance of Grand Mercure Mount Lofty House at the day's end. The phrase 'they don't make them like this anymore' rings true at a place like Grand Mercure Mount Lofty House. While there is the requisite modern day touches - including complimentary in-room wireless broadband and sleek LCD TVs -it's the authenticity of this 1850s country manor that resonates with all who stay here. Rooms are reminiscent of a time when the 'less is more' concept didn't exist - they are double the size of modern day hotel rooms and the opposite of today's contemporary minimalist look, instead opting for comfy throw cushions, plush duvets, and opulent Victorian-era style furnishings. And if it's a room with a view you're after, most offer spectacular panoramas across the Piccadilly Valley - one of the most iconic views in South Australia. There is Deluxe Room categories in both the original heritage home built in 1854 and in the subsequent extensions built after the Ash Wednesday fires of 1983 nearly razed the property to ground. Upgrade to a Superior Spa room for a two-person corner spa bath or go all out and stay in the Manor Grand View Suite which makes optimum use of the picturesque outlook. Bring your own delicious picnic lunch and have front row seats to all the action of the 2010 Sydney to Hobart Yacht Race on Sunday 26th December on one of Captain Cook Cruises Race Picnic Cruises. The Race Picnic Cruises will be held on Captain Cook Cruises premier fleet including the John Cadman and Captain Cook and Matilda vessels. Passengers will be able to follow the start of the race and watch as the Rolex fleet set sail out to Sydney heads while enjoying their own picnic lunch. Passengers will receive one complimentary beer, wine or soft drink, live commentary and free tea and coffee. All additional beverages will be available for purchase onboard (no byo). Race Picnic cruises depart from No 6 Jetty Circular Quay at 10.30am and return at 2.00pm and are $79 for adults and $59 for children. Sleep in a restored Orient-Express railway carriage, take a helicopter ride over the widest canyon in the world, learn the ancient art of spinning, and photograph foxes in the wild - add these to your bucket-list of must-do unique experiences in 2011 in the Mudgee Region of NSW. Mudgee Region Tourism Inc has compiled a list of its 'Top 10 Unique Experiences for 2011', proving it is far from your predictable wine region. It includes a mix of new touring, accommodation, dining and adventure ideas. "Our top 10 unique experiences are all off the tourist track, a little bit quirky or simply lesser-known. Perfect for independent and adventurous travellers, they will leave a memorable imprint on a holiday in the Mudgee Region," said Lucy White, CEO of Mudgee Region Tourism Inc.
"The list reflects how unique the Mudgee Region is and how we cater to all kinds of interests - food and wine, extraordinary places to stay, or taking an unforgettable nature and adventure tour." said Lucy. The Mudgee Region is a 3.5 hour drive from Sydney in the Central West of NSW. To book any of these experiences, and for more information and ideas on things to see and do, go to www.visitmudgeeregion.com.au or contact the Visitor Information Centre on (02) 6372 1020. Could there be a lovelier way to see in the New Year than luxuriating in sumptuous, indulgent and relaxed style at New Zealand's iconic Huka Lodge? Or why not give your nearest and dearest a gift voucher to stay at Huka Lodge during 2011 - so much more exciting than a pair of socks! Ranging from a gourmet three course lunch by Michelin-starred chef Michel Louws to a helicopter ride over the region's spectacular scenery, these packages are sure to impress. From November to December 2010, Huka Lodge is offering the following fabulous Gift Certificate selection. From a bottle of their award-winning wine, to one of their amazing lifestyle packages, a Huka Lodge gift will always impress. Dine Gourmet cuisine continues to define the famous Huka Lodge experience. Michelin-starred Executive Chef, Michel Louws and his team prepare superb meals using the freshest and best quality produce on a daily basis. Over 20 deliberately romantic venues are available for private dining - both indoor and outdoor - many with outdoor fireplaces. - Gift vouchers from NZ$185.00 for dining, accompanied by a bottle of selected wine. Savour A stunning family of New Zealand wines are selected as Huka Lodge house wines every year, for the enjoyment of their guests. They also stock a collection of wines from sister property Grande Provence Estate. Located in Franschhoek, in the Western Cape winelands, this 300-year old historic wine estate produces some very highly regarded, award-winning wines. These fine New Zealand and South African wines can be purchased as a gift, from NZ$85.00 per bottle. - A stay in the exclusive four-suite Owner's Cottage or the two-suite Alan Pye Cottage from NZ$3870.00 per couple, per night Unwind The Huka Lodge Packages offer a fabulous variety of unique recreational pursuits - in particular fishing for Taupo's famous trophy-size trout (Fly Fishing II & Fly Fishing III), golf (Time Together & Escape), adventure & activity (Geo-active), hiking (Great Outdoors) and spectacular sightseeing (Ultimate Package). These outdoor adventures are complemented by a food, wine and lifestyle package (Gourmet). From NZ$4336.00 per couple, for two nights NEW YEAR CELEBRATION AT HUKA LODGE Stay at Huka Lodge, Taupo, New Zealand for a fantastic end to 2010 and for an absolutely superb start to 2011. Combine a location of unrivalled beauty with a reputation for generous hospitality, gourmet cuisine, seamless service and New Year's Eve. Gather in the main Lodge Room for pre-dinner drinks and canapés, then enjoy a leisurely five-course dinner, prepared by Executive Chef, Michel Louws and his team. Each course of this especially prepared menu will be accompanied by wines selected to further enhance the whole experience. Candle light and beautiful flowers continue to embody the ambience of a very special evening. A five-piece band will entertain you and have your feet tapping as midnight draws closer. The chilled Champagne will flow and the fireworks are a spectacular way to farewell 2010 and welcome in 2011. Huka Lodge is still able to accommodate guests for the New Year celebration, please contact reservations@hukalodge.co.nz however, Christmas Day is now fully booked. From 20 December - 05 January 2011 the Huka Lodge tariff is from NZ$1375.00 + gst per person, per night (double/twin occupancy), for a Jnr Lodge Suite. A minimum two-night stay applies during this period. The Owner's Cottage and Alan Pye Cottage start from NZ$8400.00 + gst per couple, per night (double/twin occupancy). A minimum three-night stay is required for both of the Cottages during this period. A surcharge of NZ$400.00 + gst per person applies to Christmas Eve and New Year's Eve. Rates are inclusive of accommodation, pre-dinner drinks, superb five-course dinners, country breakfasts, use of all Lodge facilities, and Taupo Airport transfers if required. Swissôtel Hotels & Resorts is reintroducing the Winter Savers concept so that guests can make the most of this winter. From now on until the 15th February 2011 guests benefit from 20% off on the best available rate for bookings of at least 2 nights. Room bookings through www.swissotel.com , via travel agency or directly to the hotel lead to attractive savings everywhere from Osaka to Lima, from Sydney to Chicago and from Amsterdam to Moscow. The offer is subject to availability and does not apply for Swissôtel Göcek Marina & Resorts/Turkey, which is closed during winter season. Swissôtel Hotels & Resorts is an award winning and distinctive group of deluxe hotels, combining renowned Swiss hospitality with contemporary design, personalised service, charm and efficiency. Located in popular gateway destinations and city centres, the hotels provide convenient access to business and shopping districts. The group's Swiss heritage ensures organisational competence, attention to detail, safety and a superlative quest expirience. Host Your Friends in Style During Next Year's Rugby World Cup, With this Amazing Prize from PureTrails! Tour operator PureTrails New Zealand, who specialise in small group guided walking and cycling tours, is offering you and your visiting friends or family the chance to join our Bike the Otago Rail Trail tour during next year's Rugby World Cup. PureTrails is giving away two spaces on the tour, to be taken on any of the September or October 2010 tours, PLUS two spaces to the person who refers them to the competition - The more people you get to enter, the more chances you have of winning! This 5 day tour features 4 days of easy cycling on the iconic 150km Otago Rail Trail in Central Otago, excellent accommodation and meals, side trips to the historic gold mining towns of St Bathan's & Naseby, an introductory curling session in Naseby, a tour of a high country station by a 5th generation farming family, and all transport from Christchurch all valued at NZ$2,900 per person! The competition runs from 15 October 2010 - 31 January 2011, and the winner will be drawn on 4 February 2011. Full terms and conditions are disclosed on the Official Entry Form. Looking for a unique Christmas gift this year? Go no further than the just-released Australian Wildlife Roadkill calendar, from Wild Discovery Guides. 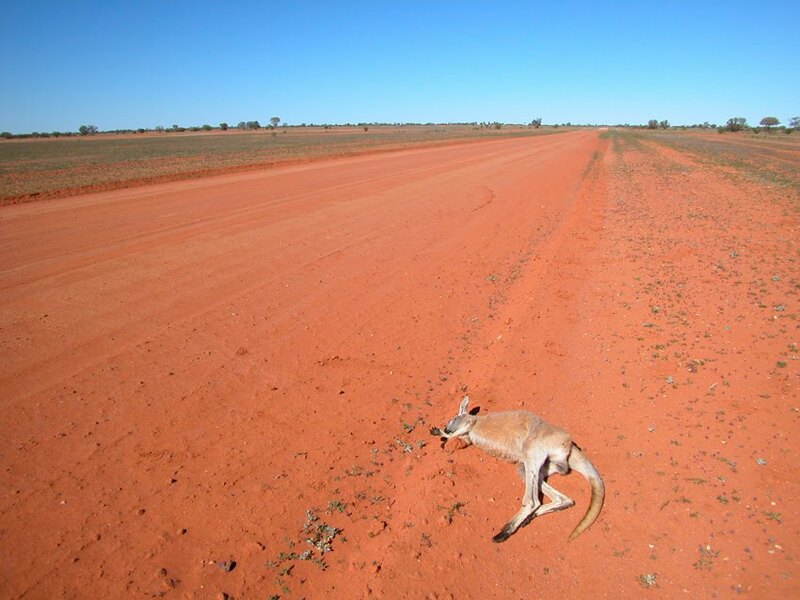 Sure to be a talking point around the Christmas tree, the calendar features 12 colour images of roadkill around Australia. 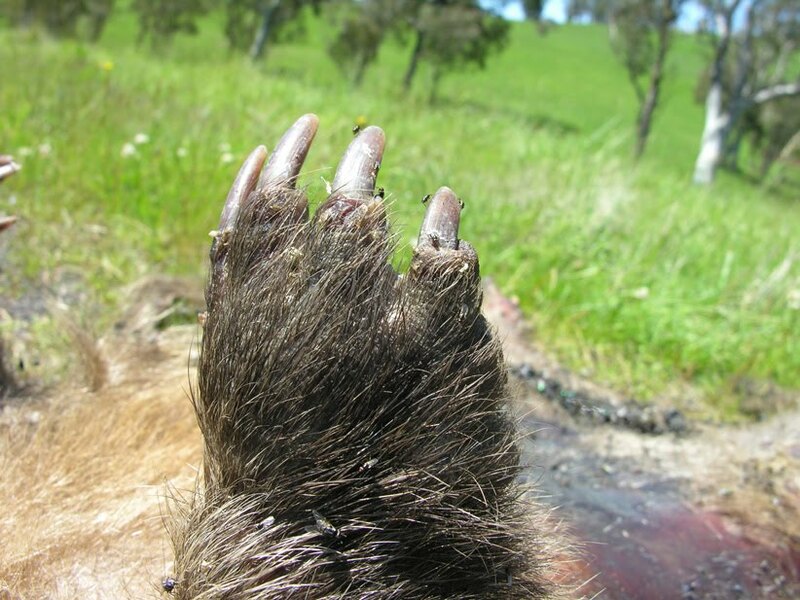 "It's quirky, but not too gruesome," says naturalist and author Len Zell, who wrote the popular glove-box guide book Australian Wildlife Roadkill, on which the calendar is based. "Here's a chance to hang something really different on the back of your toilet door, in the shed, or wherever you choose – we expect that the kitchen won't be the most favoured choice for most people." 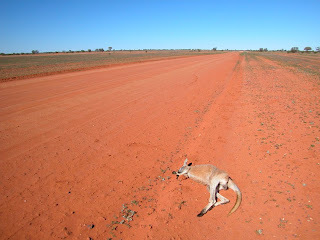 While the calendar is a novelty, the issue of roadkill is a serious one, especially as many Australians prepare for holiday road-trips over the summer. 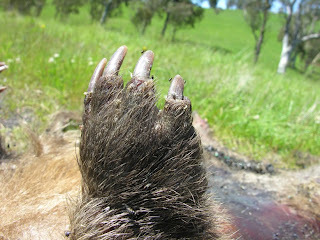 Zell's book outlines how to avoid, deal with, and identify roadkill. The calendar features images collected over many years travelling throughout Australia, from a Wedge-tailed Eagle in Western Australia to a wombat in New South Wales, a Tasmanian Devil, and the cover shot of a Red Kangaroo on the Birdsville Development Road. Images can be viewed, and calendars ordered online at www.wilddiscoveryguides.com. The calendar is priced at $14.95 (plus $2 postage in Australia, or $5 overseas). It is A4 size, spiral bound, with a large square format. The book retails for $19.95, and a book/calendar package is available for $30 including postage. International Destinations has a 20-day escorted tour to Syria on April 9 next year whose itinerary reads like the wildest musings of the most fertile mind. 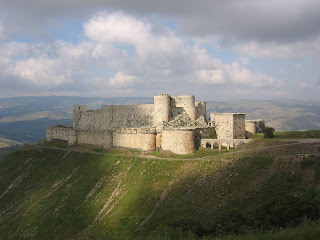 Plus Nero's Great Temple of Jupiter, a handicraft centre established in a 16th century Koranic school… and by contrast, the chance to take afternoon tea in Aleppo's fame Baron Hotel where Agatha Christie often penned her novels. This rare tour will be personally escorted by International Destination's Manager, Margaret Hill whose many visits has gained her an extraordinary knowledge of the region. Prices start from $6950pp twin-share including return air and taxes from Sydney, 15-nights twin-share first-class hotels, breakfasts daily and select other meals, tours and entries. An optional 5-night Jordan extension, again escorted by Margaret Hill, is available from an additional $1630pp twin-share. Tucked away in Botswana's remote Okavango Delta, the five luxurious suites at Baines' Camp have mobile four-poster beds, offering the choice of sleeping under the stars or under canvas. The unforgettable Elephant Experience is available here too when guests spend a morning with a family of semi habituated elephants and their handler. A&K's 9 day 'African Waterways' safari is a private journey combining stays at three of A&K's award-winning Sanctuary Lodges & Camps including Baines' Camp. Prices from $9285 per person twin share. Experience the timeless beauty of Egypt from the treasures of Tutankhamun and the Pyramids to the temples of Luxor and the Valley of the Kings. Then relax for 7 nights in a Royal Suite on board the intimate Sun Boat III taking in the Nile and all its attractions at a leisurely pace. Professional Egyptologists bring to life the myriad of intriguing temples and tombs visited along the way and guests are free to enjoy complimentary drinks on board and outstanding cuisine. A&K's 12 day 'Land of the Pharaohs' is a private journey including a leisurely seven night cruise aboard Sun Boat III. Prices from $7895 per person. European with a dazzling touch of the East, Turkey has allure written all over it. Starry-eyed romantics will be taken in by the rich history and heritage, the exquisite cuisine, the glorious beaches and coastline and its dramatic landscapes. It's difficult to go past Istanbul's Four Seasons at the Bosphorus where you'll feel like Ottoman nobility in sumptuous and spoiling surrounds. Consider a hammam for two and while away an afternoon. A&K's 10 day 'Treasures of Turkey' is a private journey featuring a stay at Four Seasons at the Bosphorus. Prices from $9335 per person. For a romantic retreat close to home hot foot it to Kangaroo Island and the area's only world-class wilderness lodge. 21 suites here thoughtfully blend into the surrounding vegetation while commanding spectacular ocean, beach and wilderness views. Service here is second to none and you'll revel in the 'eco-chic' interiors and the signature spa. Dining is a treat and there's magnificent coastal scenery and abundant wildlife to discover. A&K's 6 day 'South Australian Splendours' is a private journey featuring a 2 night stay at Southern Ocean Lodge. Prices from $5784 per person. On an A&K tailored journey to India, honeymooners dine in one of the world's most romantic settings - a pontoon floating on Lake Pichola in Udaipur with the illuminated City Palace as a backdrop. In the dreamy lake city, A&K guests stay at the famous and atmospheric Taj Lake Palace situated in the middle of Lake Pichola. Or a short drive away in the Aravalli Hills is the luxurious all-suite Devi Garh where the use of marble and semi-precious stones creates a look of contemporary India and yoga on the roof at dawn is not to be missed. A&K's 14 day 'Splendours of Rajasthan' is a private journey offering a selection of palace hotels and boutique properties. Prices from $8395 per person. Sophisticated and cosmopolitan, Buenos Aires is a city of passionate Portenos who revel in fun, food and fashion. It boasts exquisite hotels from boutique boltholes to elegant neoclassical palaces, fascinating monuments, excellent restaurants and shopping to die for. There's as much or as little to do and it's the perfect place for two to tango! A&K's 8 day 'Argentine Reflections' is a private journey including 3 nights in Buenos Aires. Prices from $7620 per person. Soneva Gili Resort & Six Senses Spa in the Maldives exudes privacy and exclusivity. Their 'no shoes no news' policy is the key to totally unwinding and relaxing. Accommodation is beach chic in over-water stilted villas all with king-size beds, open-air bathrooms, overwater and rooftop sundecks, sumptuous daybeds and personal entertainment systems. Synonymous with love where else to mark a momentous marriage or while away lazy days with a loved one but Italy? Art, architecture, food and wine, elegance and glamour, it's all there in spades. From the iconic monuments of Rome to the Renaissance treasures of Florence and the dreamy canals of Venice, an unforgettable experience is guaranteed. A&K's 8 day 'Inside Italy' is a private journey to Rome, Florence and Venice. Prices from $8015 per person. Picture a tiny coral cay, with perfect white sand and turquoise blue sea and it's all yours. Well at Wilson Island that can be you with just the birds and turtles (oh, and your attentive staff) for company. You stay in designer-inspired tented accommodation and commune with nature, snorkelling, exploring the island, turtle watching (in season) and bird viewing or simply lazing in a hammock gazing across the wondrous Great Barrier Reef. Prices from $5508 per night based on a 4 night stay. Eichardt's Private Hotel for winter honeymooners or a Valentine's treat. There's only 9 suites here, all meticulously kitted out with super-king size beds, fireplace, dressing room and bathroom with vast bath tub and heated floor. Meals here are a culinary journey where the chefs use fresh and organic produce sourced from local growers, with wines to match. After a day's exploring, skiing, hiking, golfing, jet boating, fly-fishing or simply relaxing you'll quickly call Eichardt's home. The Central Coast, one hour north of Sydney, is bursting with Ho Ho Ho-liday activities, Christmas fare and New Year's cheer. Escape the city crowds and gear up for Christmas on the Central Coast or relax afterwards with a much warranted break. Come for a day, a night or a week and soak up the distinctive blend of coastal ambiance and holiday spirit. In the lead up to Christmas, come along to one, or all, of the local carol nights scattered around the Central Coast. These wonderful family nights provide the stage for everyone to belt out their favourite Christmas jingle. Dates and locations for the carol nights can be found at www.visitcentralcoast.com.au. After the carols, take a quick detour before heading home to 'ooh' and 'ahh' at a local Christmas lights display. Locations can be pinpointed at www.star1045.com.au/articles or www.expressadvocate.com.au. Looking for gift ideas, large or small? Pay a visit to one of the six shopping centres, all operating on extended shopping times over the Ho Ho Ho-liday season. Erina Fair, the largest single level shopping centre in the Southern Hemisphere is anchored by Myer and boasts over 300 stores. Shopping sprees can also be enjoyed at Deepwater Plaza Woy Woy, Imperial Centre Gosford, Lake Haven Shopping Centre, Stockland Bay Village and Westfield Tuggerah. Shop at a different pace at The Entrance or Terrigal where you will find a broad range of independent stores and boutiques lining the water's edge. Alternatively, on Sunday, 12 December, local arts and craft will be showcased, amongst other things, at the Terrigal Christmas Fair. Make this year the year to be tantalized by a Christmas feast at one of the region's restaurants, many flaunting stunning water views such as Crowne Plaza Terrigal's SeaSalt Restaurant. Bring the family or come alone, either way you will literally be bursting at the seams after enjoying the scrumptious Christmas fare! Choose from a set or buffet style menu featuring traditional Christmas dishes, often blended with succulent seafood. A shortlist of options can be found at www.visitcentralcoast.com.au. Seeing in the New Year on the Central Coast allows for all the reveling without the city crowds. Gosford City comes alive with a full day and night of activities starting with the Family Fun Race Day at Gosford Racecourse, followed by a Central Coast Mariners soccer game as they battle against Melbourne Victory FC at Bluetongue Stadium. The culmination of the activities for the day is signaled by the fireworks display on Gosford Waterfront. The Entrance is the other key location for family reveling on New Year's Eve. The Entrance is proud to present a safe and alcohol free environment for families. The free entertainment at Memorial Park kicks off at 5.30 pm with live bands and children's entertainment with a spectacular fireworks display sponsored by Mingara Recreation Club at 9.30 pm. For your chance to join in the New Year's Eve Family Fun at the Gosford Racecourse, subscribe to our newsletter and tell us in 25 words what you are most looking forward to this summer and you will go into the draw to win a double pass to the Gosford City Council Family Fun Race Day on 31 December 2010. 100 double passes up for grabs. Terms and conditions apply and are detailed on www.visitcentralcoast.com.au. Treat yourself to a range of world class entertainment at the Peats Ridge Sustainable Arts and Music Festival. This four day event begins on 29 December featuring the ARIA award winning Angus and Julia Stone headlining an extensive range of artists. Don't forget your fancy dress costume for the New Years Eve conga parade. Full details of the event can be found at www.peatsridgefestival.com.au.